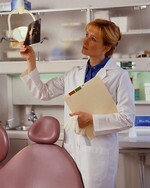 Dentist referral services are designed to help us locate general dentists or specialists when we need dental care. Whether you have no dental insurance, or participate in a dental HMO or other insurance plan, these services can help us choose the best provider, according to our preferences. Dental referral services eliminate the guesswork and helps us save time finding a dentist because they offer lots of information. This includes a large database of dentists and specialists, a prescreening process for its members and results based upon specific dental needs. 1800 Dentist and Find-a-Dentist, well known referral services, are considered innovators of the dentist referral service. When using a dentist referral service, in addition to the technology, practice amenities and payment options offered by the dentist, do price comparisons. Your goal is to find a dental office that can not only do the work you need, but also offers the most affordable treatment for your budget. Is the dentist a member of the American Dental Association (ADA)? A dentist who is an ADA member is part of a professional association. Its mission follows a commitment to the public's oral health, ethics, science and professional advancement. All members are expected to adhere to high ethical standards of conduct found in the ADA Principles of Ethics and Code of Professional Conduct. According to the ADA, 7 out of 10 dentists are members. Active: A U.S. licensed dentist actively practicing dentistry or a faculty, administrator or consultant of a dental school. Retired: A dentist no longer in active practice. Graduate Student: A dentist enrolled full-time in an accredited school's advanced training course or residency program. Student: A pre-doctoral student of an accredited dental school who is a member of both the ADA and the American Student Dental Association (ASDA). Affiliate: Dentists who practice outside of the United States and are not U.S. licensed. Federal Dental Service: A U.S. licensed dentist practicing within the Army, Navy, Air Force, The Department of Veterans Affairs or other federal agency. Dentists who are members of this category are not private practitioners. Associate: Individuals who are not US licensed, but employed in dental-related education or research. Honorary: Individuals, elected by the ADA Board of Trustees, who demonstrate outstanding contributions to the advancement of dentistry. International: Dentists who are U.S. licensed and also practice outside of the United States. All ADA dentist members receive up-to-date information related to dentistry in order to provide the best possible patient care. Is the appointment schedule convenient for you? Is the travel easy? Does the dental clinic explain dental preventive techniques? Is 24 hour emergency treatment available? Are special arrangements made either thru a colleague or emergency referral service to provide emergency care during non business hours? Is the staff friendly? Do they treat you as an individual or "another mouth?" Is the dental office comfortable, clean, and well organized? Does the dentist and dental staff freely discuss dental fees and/or financial arrangements before treatment is scheduled? As a potential patient, take the time to ask questions and take notes. You and your dentist are partners in developing and maintaining your good oral health. In addition to providing patient referrals for specialized care, most state board licensed dentists who practice general dentistry are qualified to provide some specialized procedures. Simple tooth extraction or anterior root canals are considered specialized, but are often performed by general dentists. You may save a little bit of money by choosing a general dentist who performs some specialized procedures but, keep in mind that many specialized dentists are trained to perform a procedure with minimal complications. Your decision may really come down to your dental needs and your level of comfort with the dentist. Consider using a dentist referral service to help you with find high quality dental care. Of course, the best referral in my opinion is that of a relative, friend or co-worker. There is no better referral than "word of mouth". Found a great dentist? Give him/her a Shout Out!